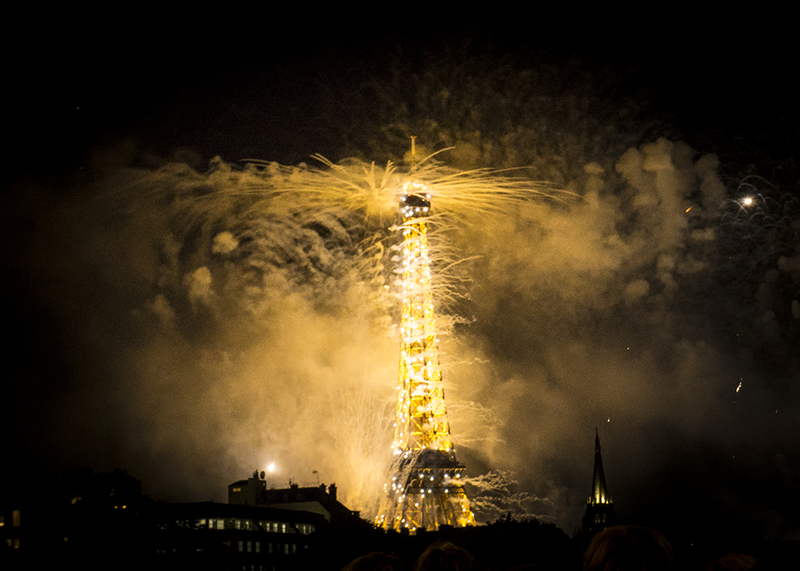 I’ll spare you the fireworks over the Eiffel Tower, but the Bastille Day in Paris was great! The military parade was wonderfully strange, although I was in an bad spot for taking photos. Walking through one of the many parks near the Louvre afterwards, there was a ‘military camp’ with people dressed in garb from various wars, all happy to pose for photos. Mustache guy was definitely my favourite. Okay, just one shot of the fireworks . . . This entry was posted in photography and tagged Eiffel tower, military, Paris. Bookmark the permalink. ← Not impressive, unless . . .